Nestled in the serene Coachella Valley at the Desert Willow Golf Resort is Club Intrawest. 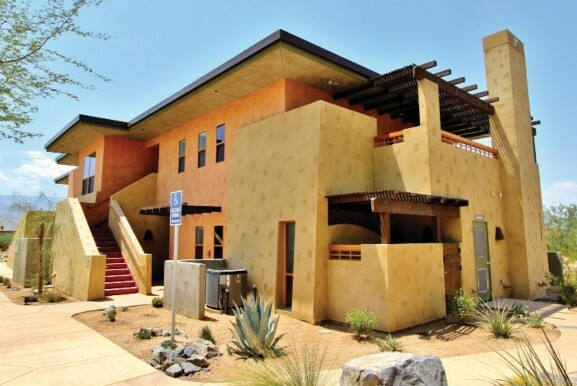 The Mission-style haciendas are inspired by the natural desert. Facilities include outdoor pools with jacuzzis, exercise and game rooms, tennis and basketball court private movie theatre and a 24-hour front desk. Suites include private outdoor fireplaces, outdoor showers, and fully-equipped kitchens indoors. This $2.3 million dollar project includes a five-unit building comprising two stories and all surrounding landscaping.